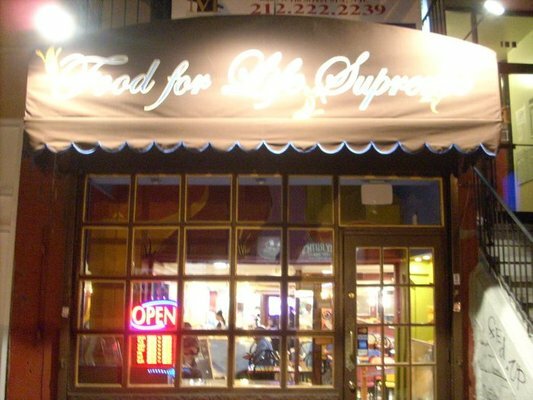 Food For Life Supreme closes in Harlem, Red Chili Indian Cafe opens in same space | HarlemGal Inc.
A reader of HarlemGal Inc wrote in over the weekend informing us that there is a new Indian restaurant in Harlem that recently opened on West 116th Street near Lenox Avenue. It’s called Red Chili Indian Cafe. Apparently this new restaurant opened in the same space where Food For Life Supreme used to be located, ie 108 West 116th Street. Food For Life Supreme is closed or maybe it relocated? If anyone has the scoop, chime in! So there we have it! Another dining option in Harlem! This entry was posted in 116th Street, business, food, Harlem, Harlem bloggers, Harlem blogs, Harlem businesses, Harlem restaurants, HarlemGal, Lenox Avenue, Maharaja Palace Harlem, Where to dine in Harlem and tagged 108 West 116th Street, Harlem, indian cuisine, Indian restaurants in Harlem, Maharaja Palace Harlem, Red Chili Indian Cafe. Bookmark the permalink.